Polygreen by Bellemo & Cat Architects Polygreen: Meet the Family Who Spray Painted Their Entire House Polygreen is a printed fiberglass box in a neighborhood of red brick warehouses. 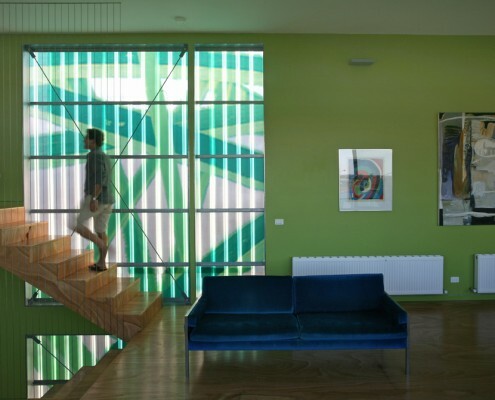 The contrast is striking - a home covered in vibrant green. 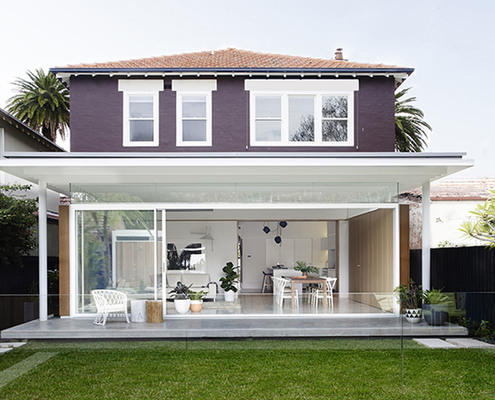 Coogee House by Madeleine Blanchfield Architects Turning Two Art Deco Duplex Apartments Into One Modern Family Home 'When Two Become One'. Not just a Spice Girls hit, also the story of transforming two duplex apartments into one cohesive family home.